There are many callus removal and rough foot skin treatments including salon treatments, chemical concoctions, and even garra rufa, a fish pedicure where fish eat the dead skin off the feet! 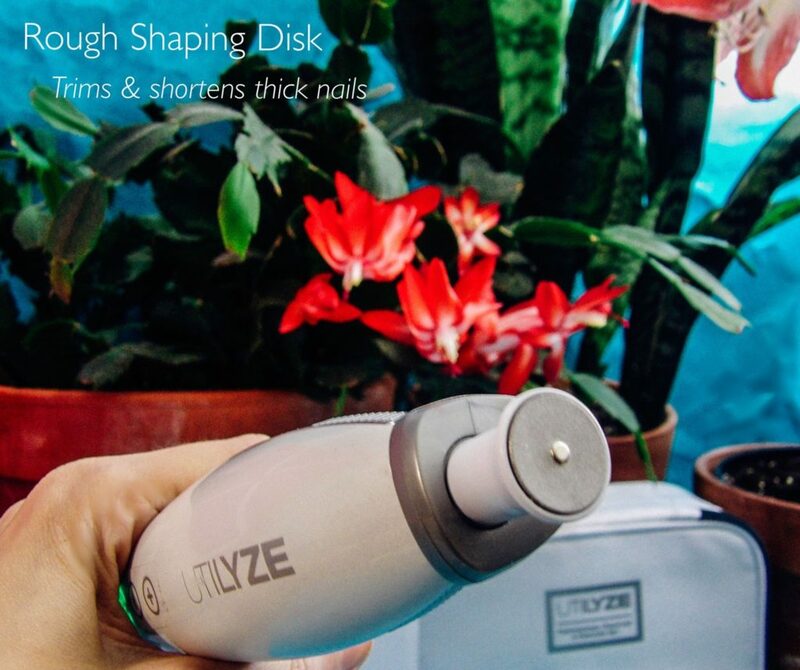 But smooth, callus-free feet are easily achieved at home with the right tool. 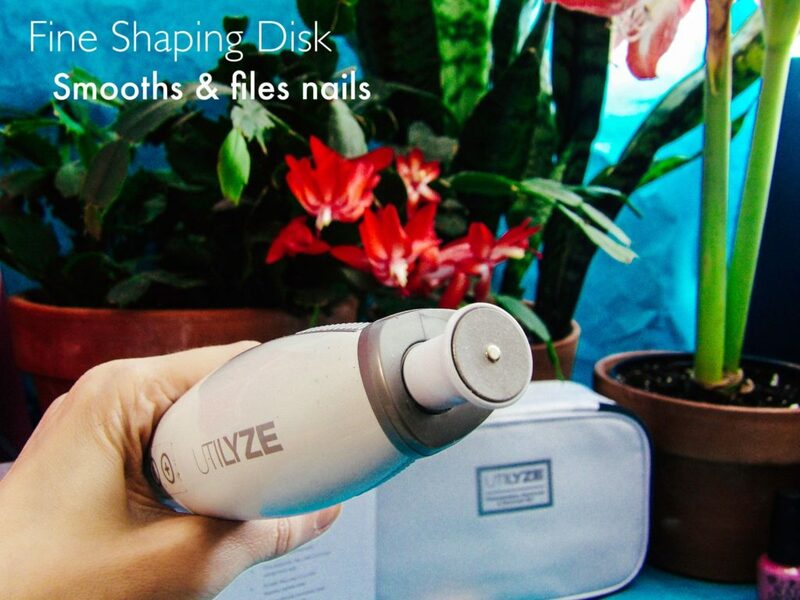 We like the Utilyze Electronic Foot File, a powerful, rechargeable device for quickly and easily getting soft, callus-free feet with smooth, flake-free heels. In winter, it’s easy to hide less-than-glamourous rough and dry feet in warm, thick socks and forgiving, snuggly boots. But as of this writing, spring is only two months away, and foot-flaunting open-back shoes and sandals come with it. And if a vacation to a warm weather locale is in your immediate future, getting your feet smooth and callus-free is a priority. I charged the device for eight hours before use; it plugs in by the included USB port charger. Once the light turns green, it is ready for use. I went to work on my callus and cringe-worthy dry heels. I am frequently barefoot at home and have calluses on the outer side of my big toes. I tend to procrastinate on removing these calluses because it’s tediously time-consuming filing away with sanding file sticks or pumices, and the results are often just okay despite filing until my arm gets too tired. 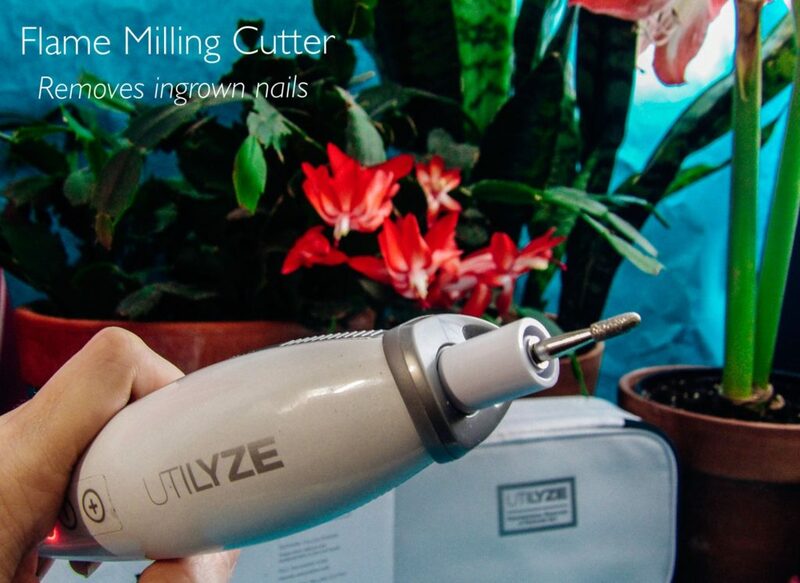 But the removal process is simple with the Utilyze Electronic Foot File. I used the File two ways by doing one big toe callus completely dry and the other big toe callus after soaking my foot to soften the callus. Both worked very well. 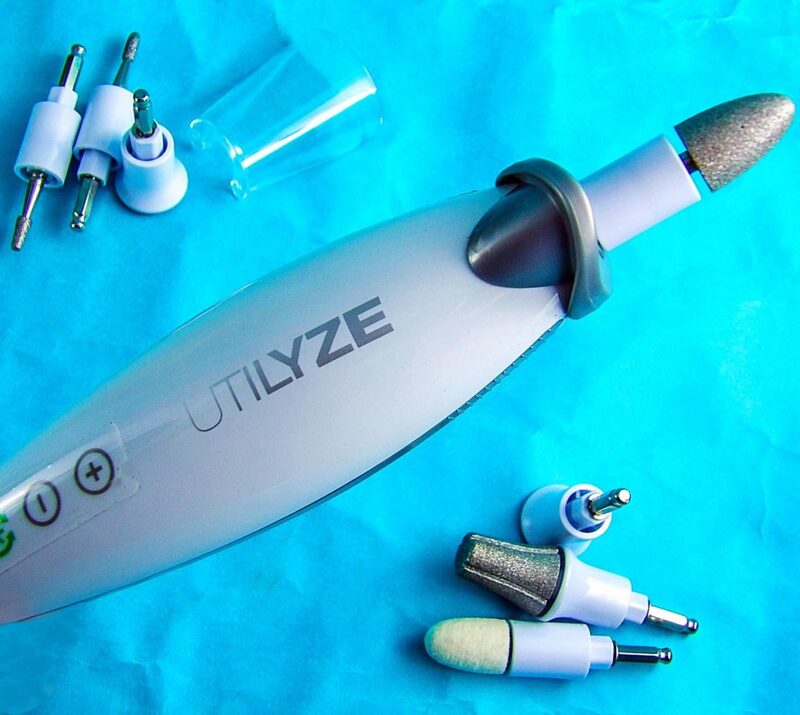 1) POWERFUL: Utilyze Electronic Foot File is a very powerful callus remover, but if you press the roller too hard to the skin, the motor stops. 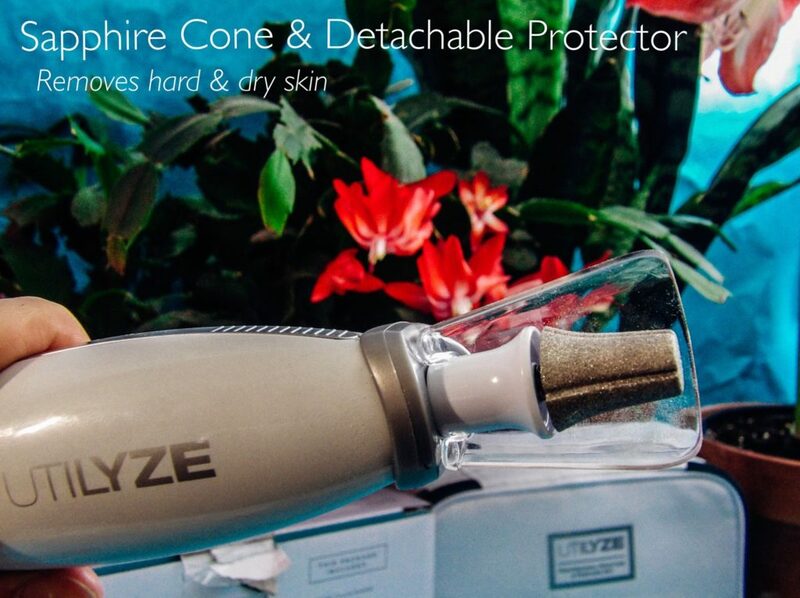 I like this feature so that the skin itself does not get damaged and there is no burning sensation from overuse. 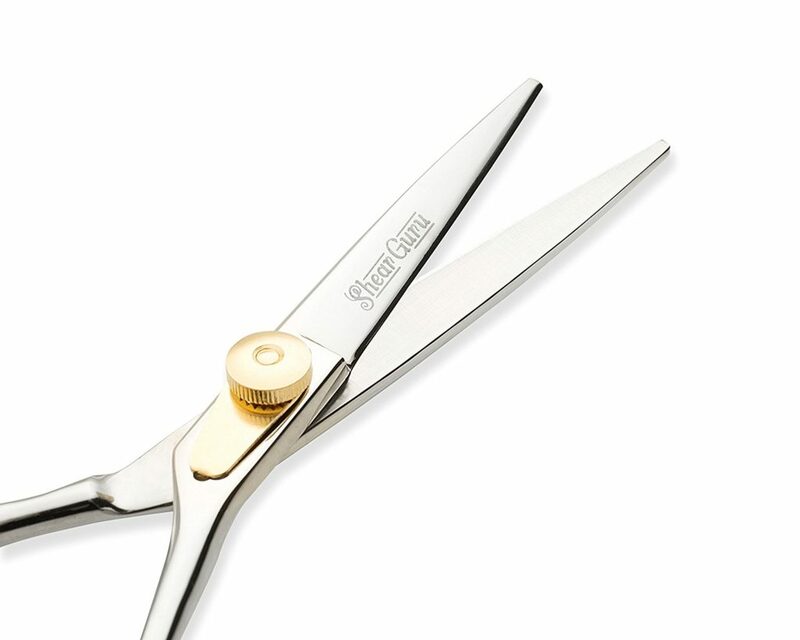 2) EASY GRIP: It is very easy to grip and to use, my hand and arm do not get tired when using it. 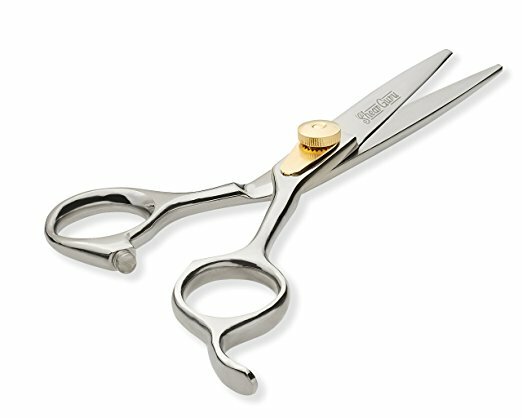 4) SAFETY: It is safer and more sanitary than other means of callus removal such as razors or grinders that cut the skin. It is CE international safety standards approved. 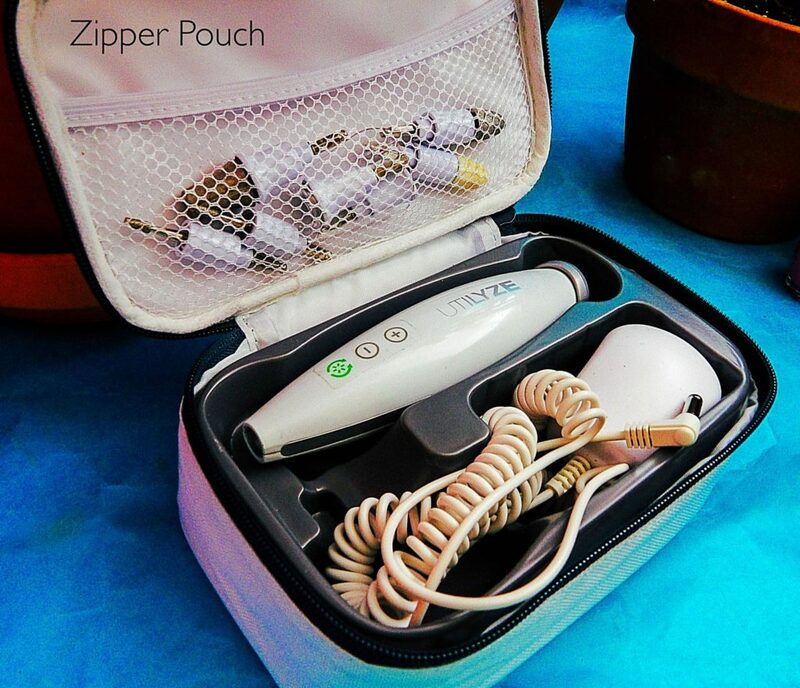 5) COMFORTABLE TO USE: It doesn’t feel hot to the touch during use, and it isn’t painful or uncomfortable to remove the dead skin. 6) EASY TO USE: With a manual sander or pumice stone, I used a lot of “elbow grease” to get the job done. 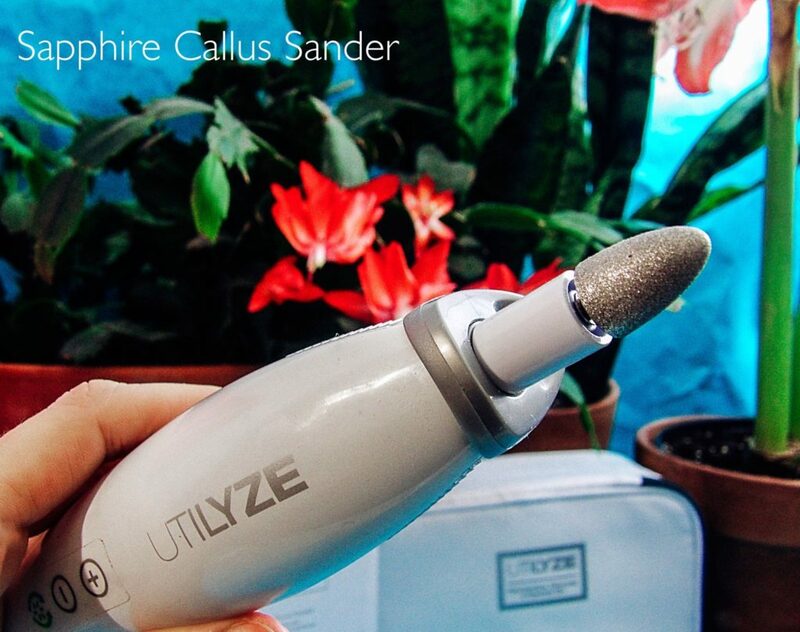 But this device just requires a light, gentle glide over the skin. 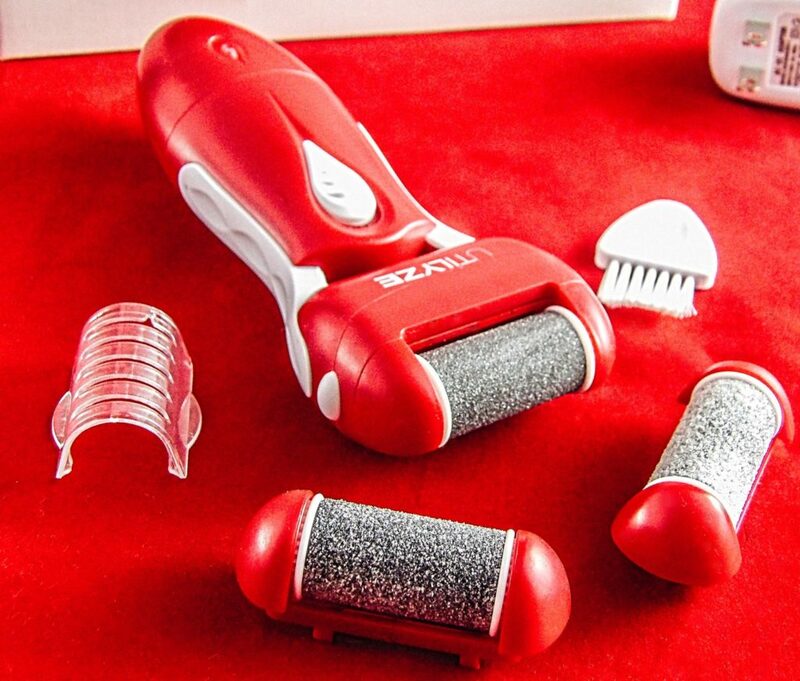 There is no need to rub or scrub, press or push the roller into the skin; the device does all the work. 7) LONG-LASTING CHARGE: So far the one charge has lasted through a few sessions and has retained the same level of power. 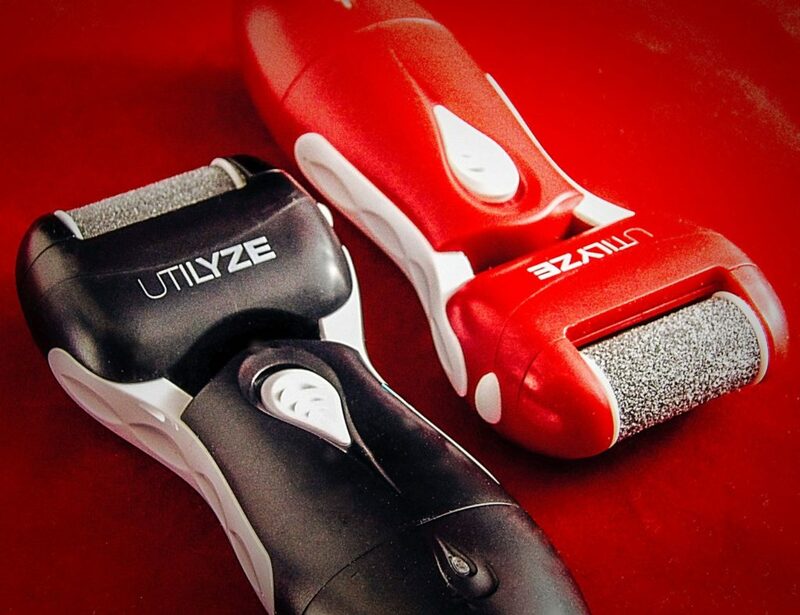 Utilyze Electronic Foot File made quick work of smoothing my heels; that happened quickly in a few minutes. The callus removal I did in two sessions, using the fine roller. Not being familiar with the device at first, I didn’t know if the skin could use a rest, but it probably could’ve been done in one session. So far, the calluses have not returned, and my feet stay smooth after a very quick treatment. I also lightly glided it over the soles of my feet and toes to remove general dead skin. The results were better than I got from the decadent foot soak and pedicure treatment that came with a full spa day of beauty pampering at a very expensive salon. 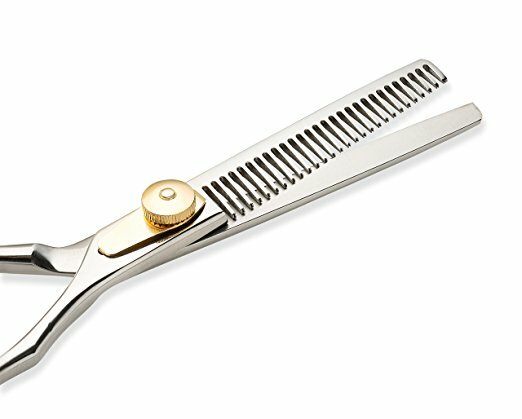 As relaxing as a spa foot treatment can be, I prefer having my own filing device to eliminate any risk of infection. I was also surprised at *how* much dead skin exfoliated so quickly into a fine powdery dust, so make sure to use the device somewhere it is easy to clean up afterward or drape a towel, drape cloth or old newspapers under your feet. 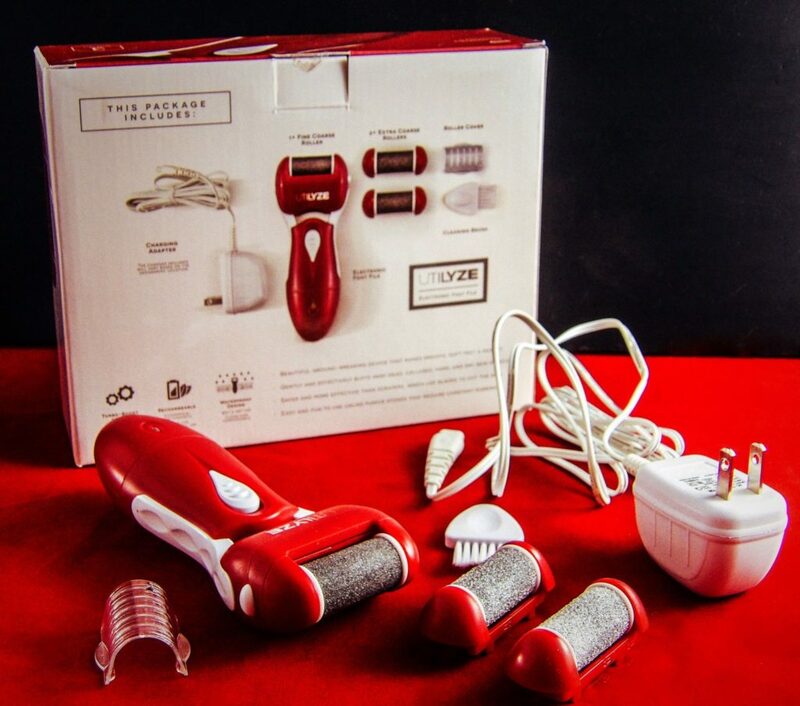 The device comes boxed with the rechargeable file itself, instructions, a USB port charger, one fine roller and two coarse rollers, a roller cover cap, and a cleaning brush. The color choices are red or black. Replacement rollers are available at Amazon when they eventually need to be replaced, but they are pretty solid and clean up well. 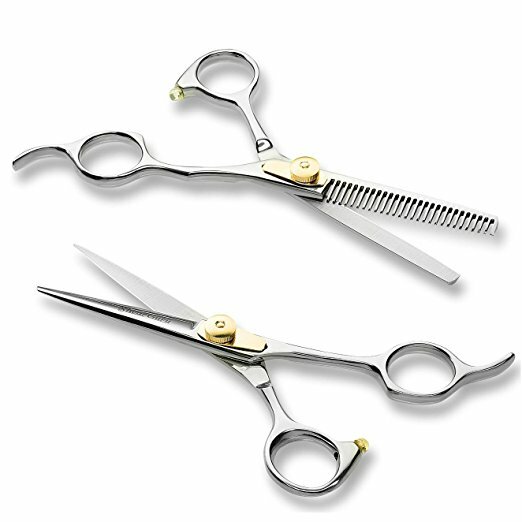 The device is well constructed with sturdy materials; it is suitable for professional use. There are no loose or shoddy parts. I like that it’s rechargeable so that it is a sealed device instead of requiring batteries. It comes with a three-year warranty program. It is easy to switch out the roller heads by pressing the button on the side which releases the current roller. 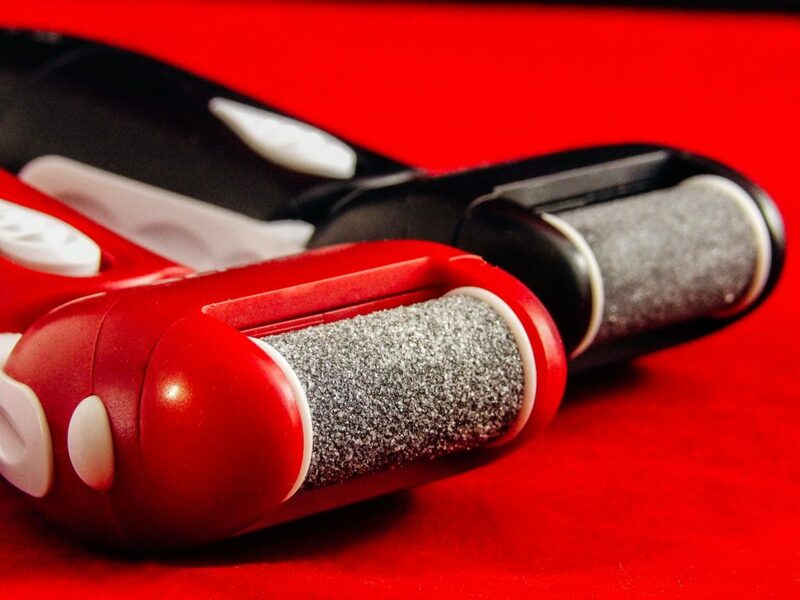 There is a small brush included in the kit to remove any dry skin dust debris from small crevices, and the roller quickly washed off under a running faucet. 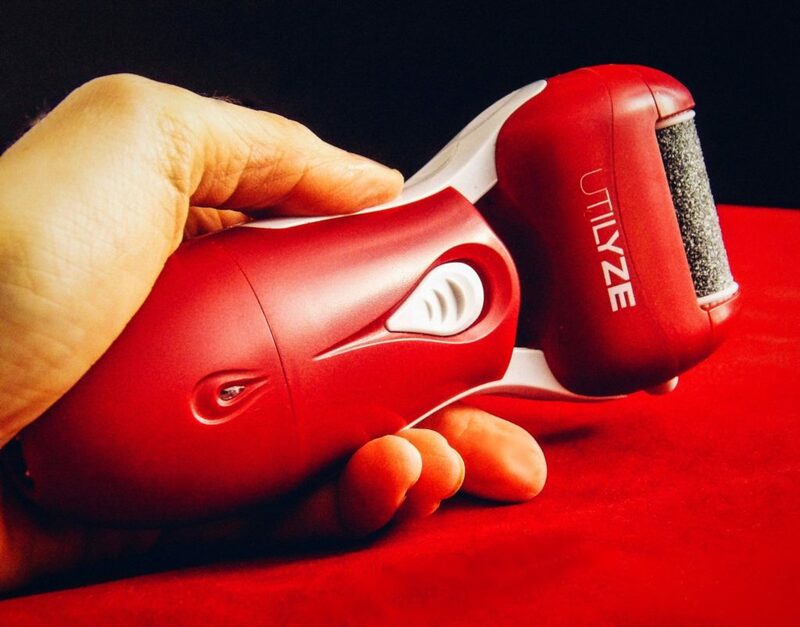 The Utilyze Electronic Foot File is a very powerful callus remover, suitable for men and women that gets the job done! It is an easy, enjoyable beauty treatment that provides instant gratification of smooth, softer foot skin. It smoothes tough callused feet to as soft as silk. 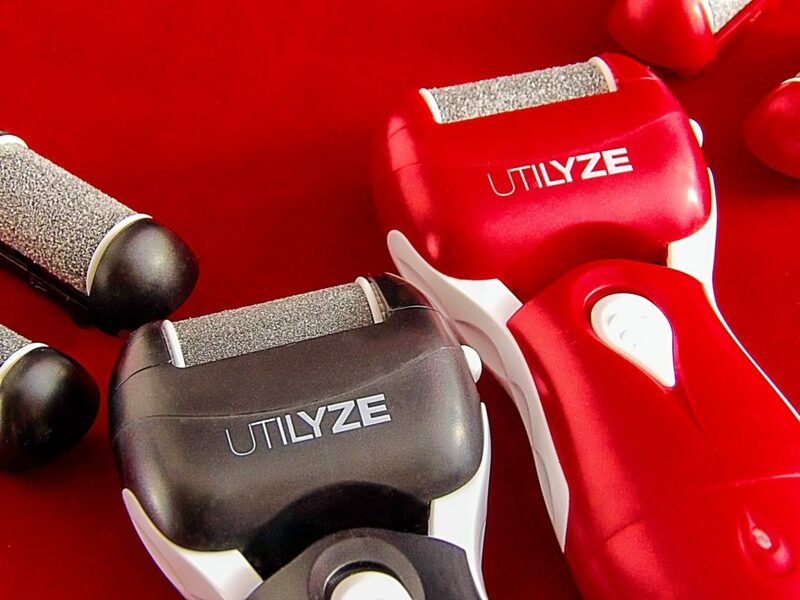 Unlike hand-held foot files, The Utilyze Electronic Foot File gives very effective results and leaves my feet soft enough to ensure against snagging expensive hosiery or trouser socks. It also leaves feet smooth enough to go bare foot or wear strappy sandals. Better results than I got at the spa! 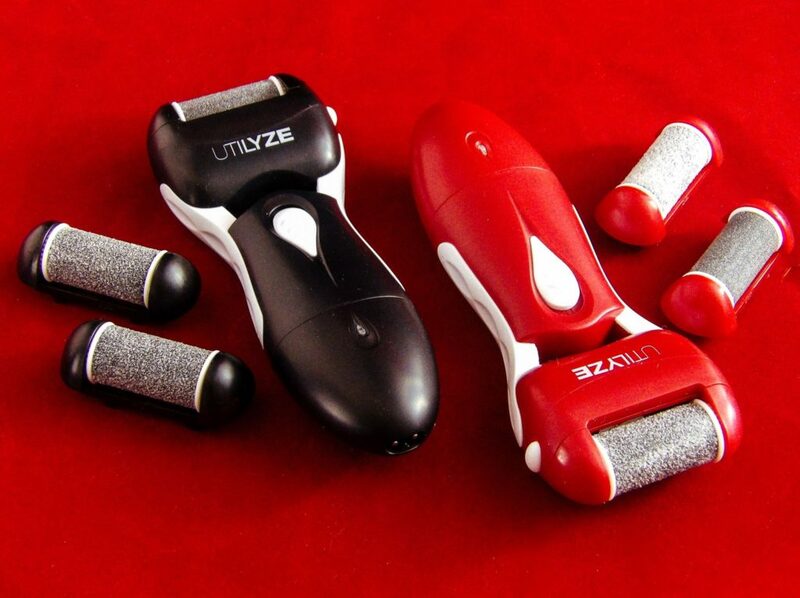 Find the Utilyze Electronic Foot File at https://www.amazon.com/UTILYZE-Rechargeable-Electronic-Pedicure-Turbo-Boost/dp/B00QXHH5Z2/. One of the best beauty-enhancing daily habits you can have is to drink lots of water. It keeps your skin glowing and unclogged of toxins; it gives you energy, and it helps manage weight gain. 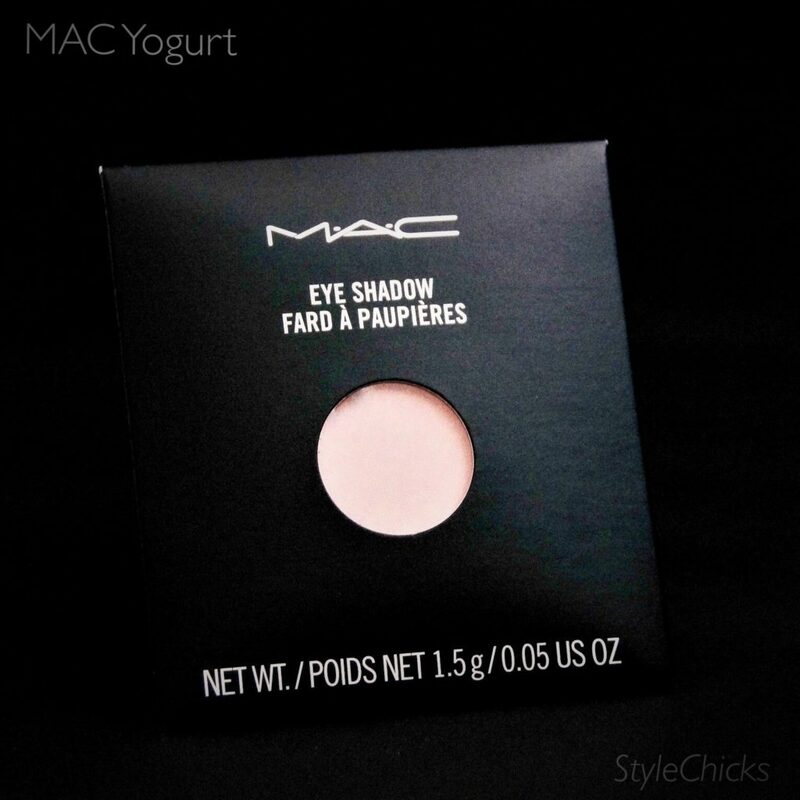 You really can’t beat the dewy glow from being well-hydrated. This is not news by any means, but it is worth discussing because accomplishing this basic beauty habit is easier said than done: guzzling your daily water intake can seem unappealing when compared to drinking delicious coffee and sugary beverages. But it is a worthwhile beauty goal. According to a recent study, 20% of women that drank 1.5 liters of water daily saw a reduction in wrinkles after six weeks. In another study, people reported clearer skin and less acne within a week of drinking 6-8 glasses of water a day. So how much water should you drink and what can help make that water appealing enough to meet your water consumption goal? There are various opinions on how much water one should consume daily. For the sake of your skin, it is typically 4-5 glasses a day. This is the amount needed for your organs to function properly and remove toxins from your body, including the skin. This amount also helps with clearing acne. The amount of water required varies a bit from person to person based on your weight and other health issues. As a general guide, you are hydrated enough if your urine is a light wheat color. If not, you are dehydrated, whether you feel thirsty or not. To avoid dehydration, keep sipping water throughout the day. Some people like to add a slice of lemon or infuse their water with fruit. This is helpful to make your daily water intake taste more appealing. But the biggest aid to making daily water consumption easier is often the temperature of the water: chilled water is energizing and refreshing, especially after a workout or on a hot day. Cold water is just easier to drink. It is also helpful for burning extra calories: your body burns more calories with cold water than drinking tepid, warm or hot water. 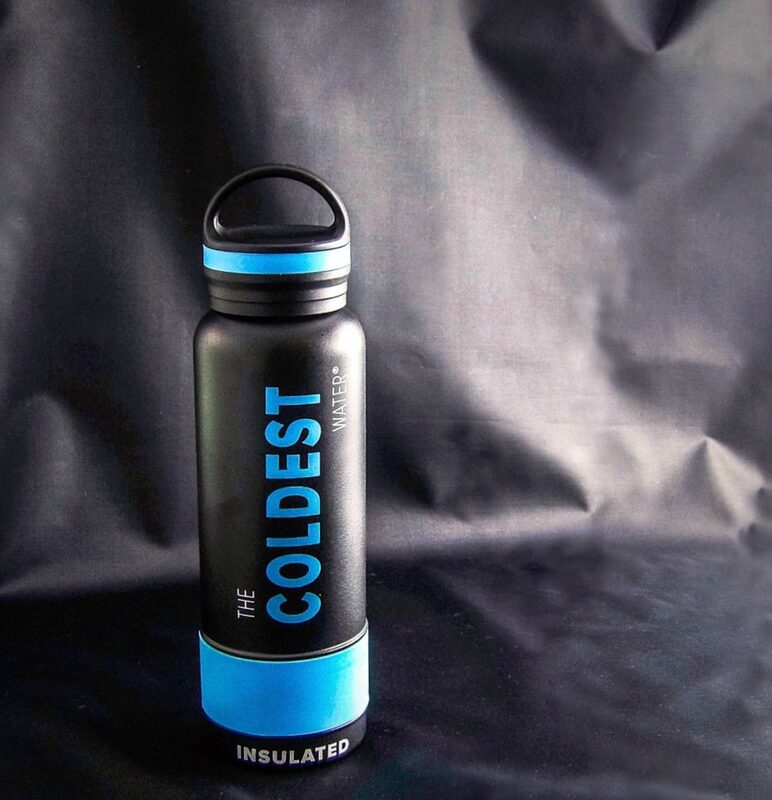 The Coldest Water Bottle is an easily portable water that keeps water at a cold temperature, providing access to icy-cold water that stays at an even cold temperature all day. It is not just a water bottle with an ice core center insert that keeps the water cooler inside the bottle. 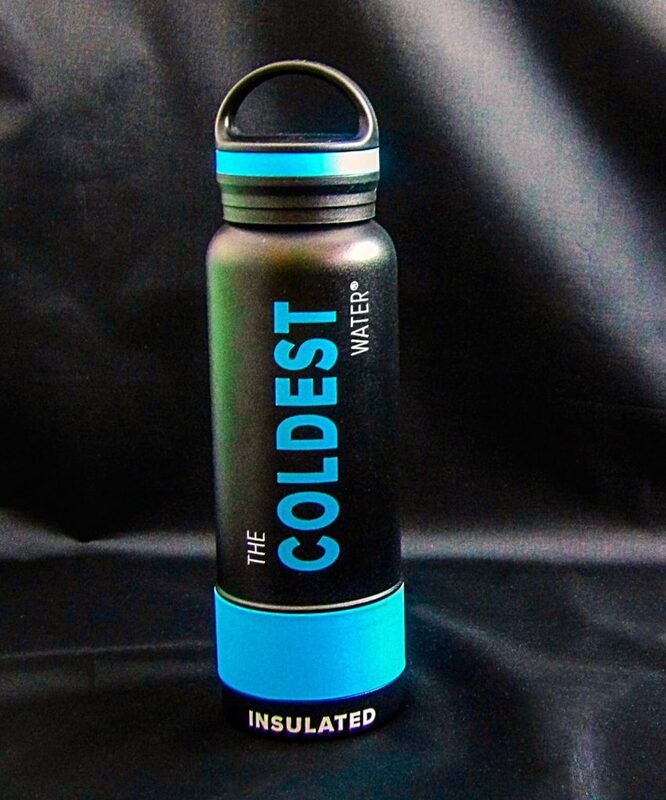 The Coldest Water Bottle keeps water at a constant ICE COLD temperature for up to 25 hours, and any ice in the bottle stays in ice form during that time. Made of stainless steel, it is a long-lasting, quality water bottle that does not need to be frequently replaced like plastic bottles. It uses double wall insulation with materials designed to keep water cold for more than 25 hours with no sweating. It floats in oceans and pools and its 99% of cup holders, so you have no excuse NOT to get your daily water intake. BPA and toxin free, it is safer than other water bottles that can quickly harbor bacteria (and odor) within its’ plastic walls. It is made for athletes but is suitable for any environmentally conscious person who wants to carry cold water with them throughout the day or for a late-day workout. The Coldest Water bottle is intended for lifetime use. THE PROBLEM: The gym I belong to has ice-cold bottled water chilled in a vending machine for $2.50 a bottle, and each pilates class or gym session I would typically need two of these 12-ounce bottles. And sometimes after a particularly busy class, the vending machine runs out of water entirely. I tried to bring my bottled water, but I wanted the *COLD* water during and after my workout. The problem is, I go to the gym after work, so if I bring water from home, it would have to stay cold for about 11 hours by the time I get to the gym. TESTING THE COLDEST WATER BOTTLE: Turns out, the Coldest Water Bottle keeps water cold for a very long time, it keeps water cold all day and keeps a full bottle cold for a late-day workout. The ice cubes stay as ice cubes; they don’t substantially melt. I filled the bottle with ice cubes and cold water from the tap at around 7 A.M. Ten hours later the ice was still in ice cube form with no melting or “sweating.” In the meantime, the bottle sat in the warm car without the benefit of air conditioning. When I drank my water at the gym, almost twelve hours later, it was still ice cold! Pretty impressive. The leftover ice stayed unmelted afterward until I dumped it out when I got home that night, a few hours after my workout, probably hour 16 at that point. Very nice! CONCLUSION: A sturdy, well-constructed water bottle, just fill it with water and ice and go. Carrying a Coldest Water Bottle will remind you to drink water and keep track of how much you are drinking. It is the perfect bottle for athletes, Mom’s with thirsty kids, campers, beach-goers, or anyone who wants to have access to cold water during the day. I also find it useful for keeping some cold water in a car during the summer to stay hydrated in the case of unexpected delays or emergencies. The Coldest Water Bottle is an environmentally friendly, cost-effective choice, saving you from buying repeated plastic water bottles. 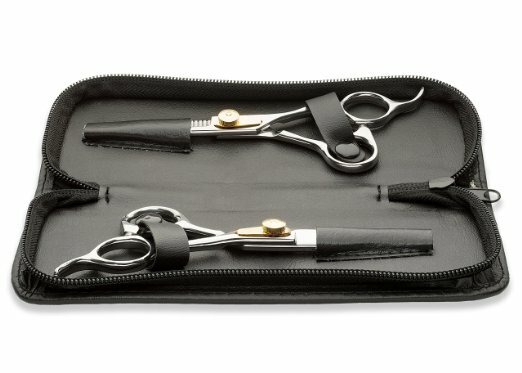 The stainless steel is sturdy without being too heavy to carry in my bag. Since I have had the bottle, I have remembered to bring water with me each day, and it stays ice cold in my bag while I am in transit. The bottle does not leak, so it is safe to put in your backpack or briefcase. The stainless steel naturally is bacteria resistant, which feels cleaner to transport around places like the gym. Since I have had the Coldest Water Bottle, I stay hydrated at the gym, at work, and I haven’t had to buy chilled plastic bottled water when I am out. A very worthwhile investment that saves both the environment and saves money on bottled water costs.